You’ve found something that makes your life feel purposeful. You’re working away and making positive changes in the world around you. Congratulations! It’s a major achievement. But it may not last forever. While you may feel like this is something you can do for the rest of your life, your life, values, purpose and what inspires you to make a difference will likely change over time. And that’s a good thing! This also means that there is lots of hope if you’re not 100% convinced yet that you have found the right purpose. You’re off to a great start and over time it will evolve into something you truly love and can see yourself doing for the rest of your life. That’s the beauty of having a purpose. It’s not a static concept. As you grow as a human being and gain more experience, this concept will evolve right along with you. Sometimes that means your idea grows bigger and more expansive. You start to reach more people and make an impact on a larger scale. Sometimes it means that you focus in on just a handful of people with a very specific issue you’re perfectly designed to help them with. You may affect fewer people, but the impact you make is deeper and more profound. That’s a good thing. For some of us, our purpose will become very personal. When you start to have children, they will become your purpose for quite some time. Doing the best job raising and parenting them is a wonderful purpose. Or maybe it’s nurturing your marriage or caring for an elderly family member in need. Remember, your purpose doesn’t have to be anything earth-shattering. You can make a real difference with small acts of kindness. How much you can do also depends on the season of your life that you are in. With a newborn or a toddler in the house, there isn’t much time for anything other than caring for them, the house, and going to work. As your life changes and calms down, you will have periods of more extra time and money on your hands to work on those bigger issues you care about. The important thing is to live a life of integrity and purpose every day going forward. Even if that purpose is to read “The Little Engine That Could” for the fiftieth time, or spending an afternoon drinking coffee and listening to the stories of times gone by your elderly mother wants to share. Living with purpose is a concept that evolves and adjusts to your life, your circumstances, and your values. It’s influenced by the people you meet and the needs you see around you. 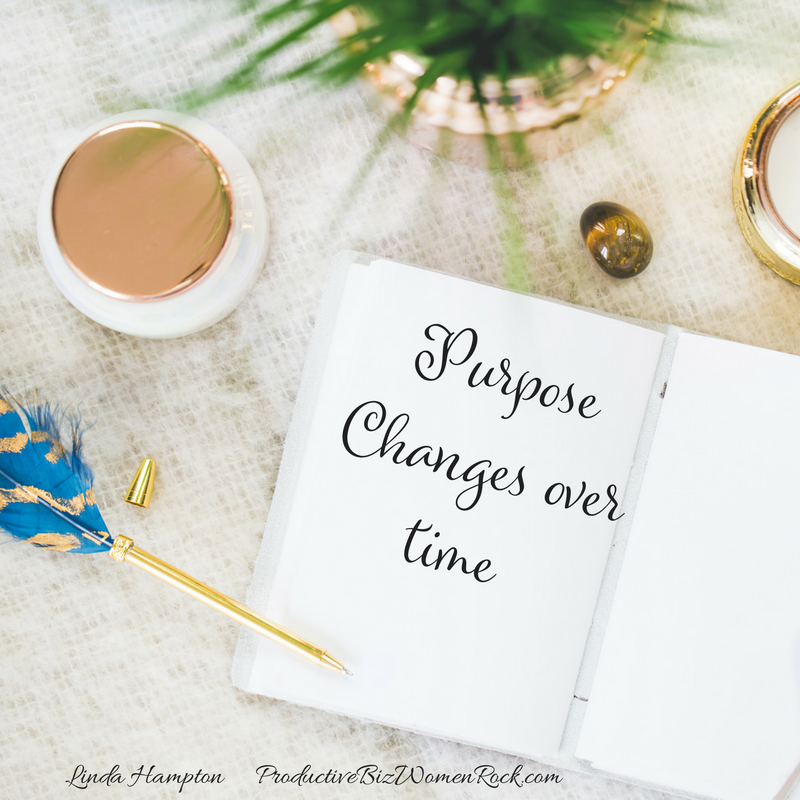 Embrace this concept of change and continue to look for your purpose each day to live a happy and fulfilled life.